Cereal is a top-selling and chosen breakfast food with a myriad of types and brands to select from. In considering the top brands, those with the highest profit rates and rankings are to be considered. Nutritional value may be a factor into these ratings as well as it allows an additional marketing bonus to health-conscious buyers. According to A.C Nielsen Financial Services, Cheerios is ranked as the No. 1 cereal brand thanks to its classic and popular flavors such as Honey Nut Cheerios. The cereal is also a source of vitamins and minerals with a typical serving supplying 10 percent of your vitamin A and C needs, 10 percent of calcium and 45 percent of iron as identified by the Breakfast Service Information Service. General Mills' Cheerios is also made of whole-grains, low in fat with 2 g per serving, and a source of dietary fiber at 3 g per serving. Quaker Oats Captain Crunch was listed as one of the top five brands by manufacturer in 2005 according to A.C Nielsen Financial Services. The sweet oat and corn cereal was first released by Quaker in 1963 and continues to maintain its popularity in part due to its highly recognizable cartoon figure. 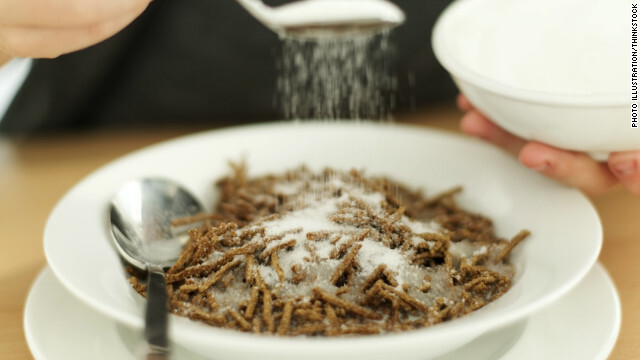 A typical serving of the sweet cereal is low-in fat, 1.6 g, and has only 109 calories. It is also a source of iron, at 29 percent of the daily value. General Mills has a Fiber One cereal in addition to its selection of Fiber One granola bars. General Mills has been listed as a top cereal brand both by manufacturer and producer. Fiber one is a nutritionally proficient cereal as well with a serving of the whole-grain cereal boasting 1 g of fat, 2 g protein and 14 filling grams of dietary fiber. It is a popular breakfast choice and may be eaten with milk, sprinkled on yogurt, or baked in with muffin mixes. A.C Nielsen Financial Services reports from 2005 cites Kellogg's Special K cereal market shares at 5.4% for the year of 2008 compared to Cheerios No. 1 ranking at 12.6%. Special K cereal is low in fat and sugar with only 0.5 g and 4 g per servings, respectively. There are various flavors to select from, including vanilla almond and blueberry flakes.